After setting the License String in the new License Manager (2018 and above), you get a no license available message when starting LP360. 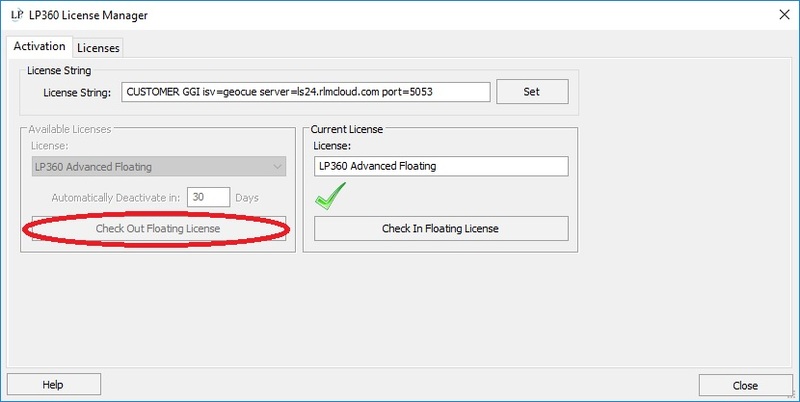 Make sure that after you set the License String, that you also use the “Checkout” button to check out the license you need. If successful, you should see a green check mark. This entry was posted in AirGon Installation, Licensing and Updates, LP360 Installation, Licensing and Updates and tagged check out, checkout, License, no, no licenses available, Set, string.